This painting is based on colorful simplicity. The famous Amsterdam canals are superb and sometimes look and feel like an antheap. 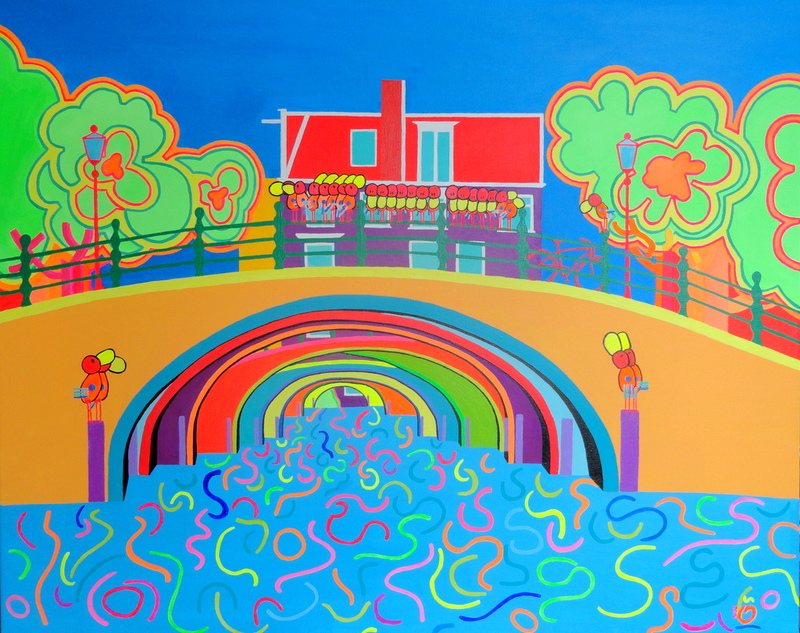 My startingpoint was bringing back the enormous details of the canals and their environment to a colorful essence that pleases the eye. The painting is inspired on the "seven bridges" and it reveals the line patterns of the bridges, the water and the trees at the same time. To emphasis mentioned line patterns, colors are made deliberately brighter and must deliver that bright feeling. During the creation of this painting, I discovered the power of simplicity in a very nice way.